Against the backdrop of the 2014 FIFA World Cup in Brazil, Coca-Cola Germany sought to improve the lives of disadvantaged young people through the power of play. This led to ‘Win a Ball, Give a Ball’ – a streetfootballworld-led campaign that gave consumers the opportunity to win a red Coca-Cola football and give a ball to a young person in need. 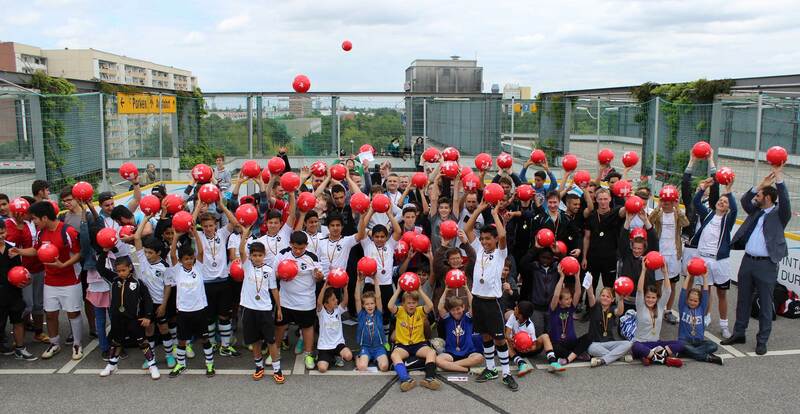 With the help of 20 community organisations, streetfootballworld coordinated the distribution of 40,000 balls at more than 180 tournaments and street festivals across Germany. Each of these events addressed pressing issues for disadvantaged young Germans, such as employment and social integration.